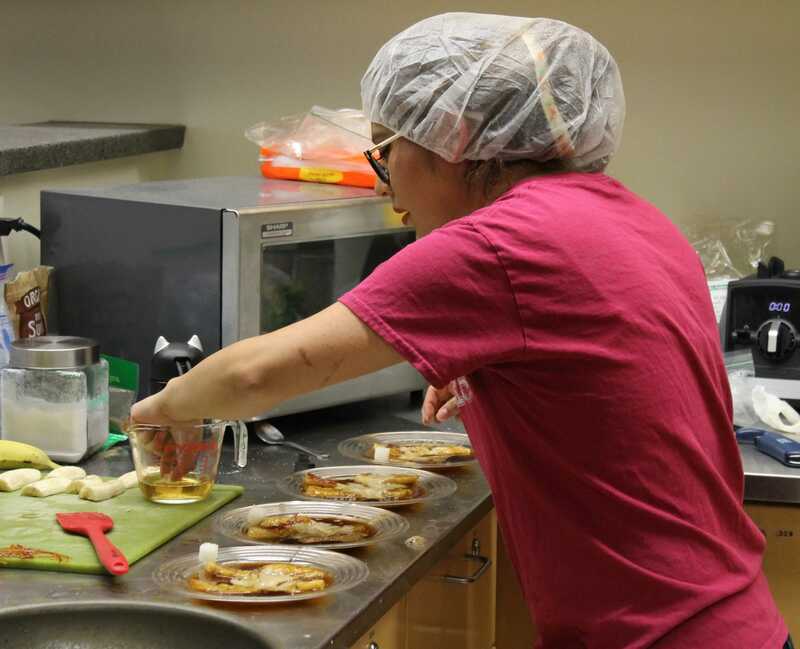 The Student Dietetic & Food Science Association held their annual “Iron Matador” event last Wednesday. 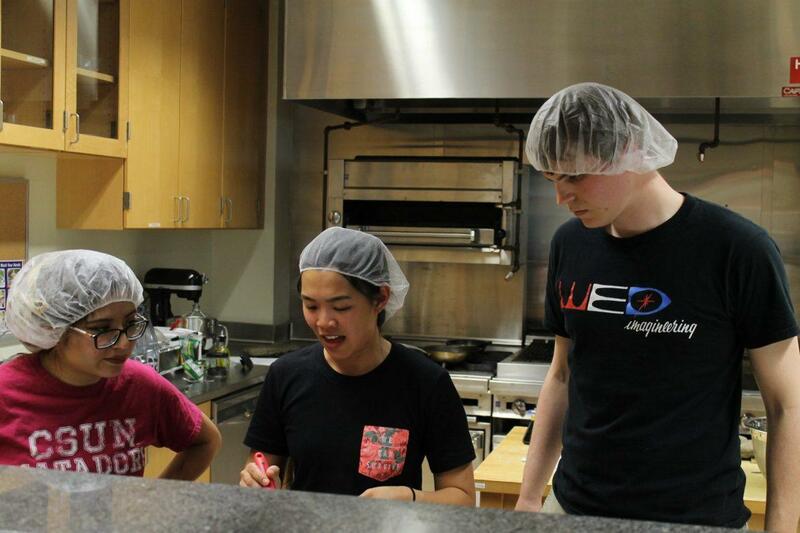 Four teams competed to see who would take home prizes in the categories of appetizers, entrees, desserts, and overall. Judges were Jake Hagen, winner of the previous three Iron Matador competitions, Steve List, adviser of the horiculture program at Sylmar High School and Richard Weinrot, director of programs at the Food Forward organization. The teams had to complete and plate their menu within the hour given and present to the judges. The judges then deliberated and awarded the prizes. 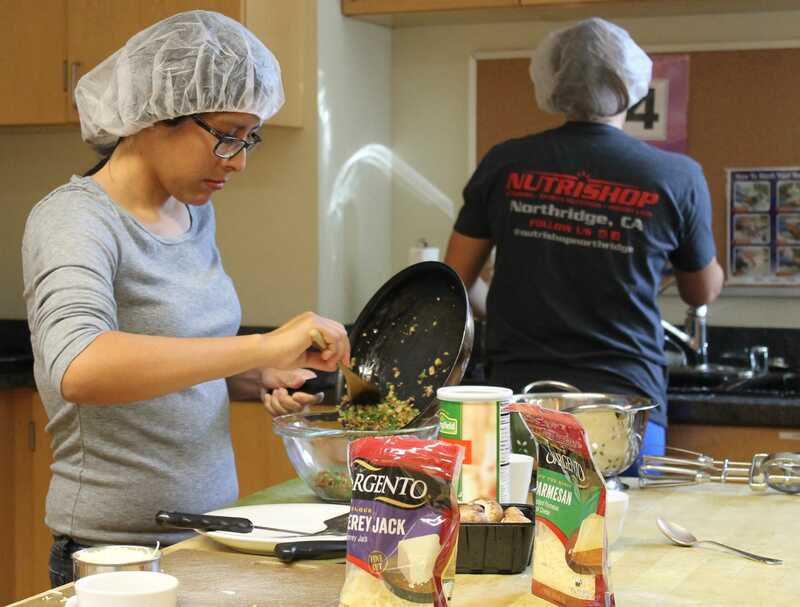 Team “Fuego”, which consisted of Tatum Vedder, Jennifer White and Diana Aguirre, won best appetizer with their dish of spinach and bacon-stuffed mushrooms. 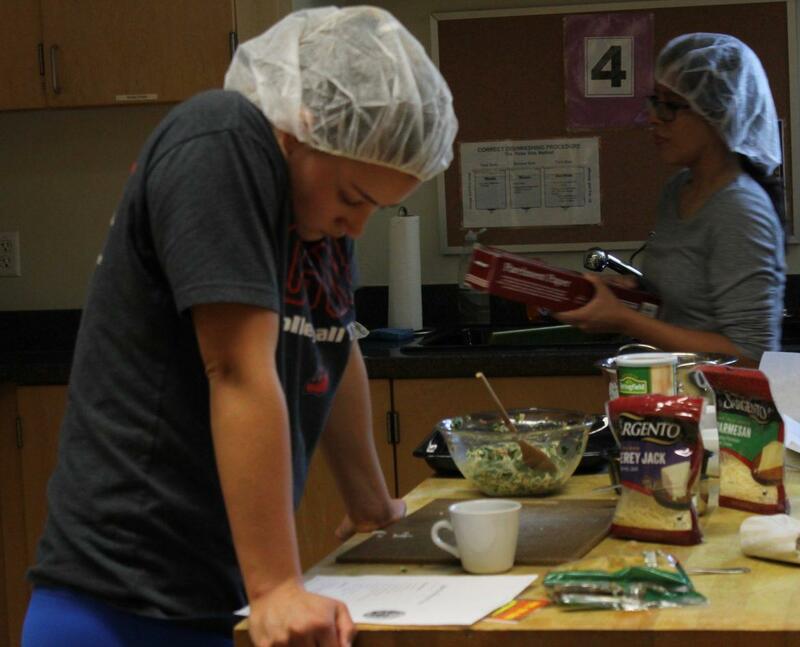 Tatum Vedder from Team Fuego checks over her recipe during the Iron Matador cooking competition. 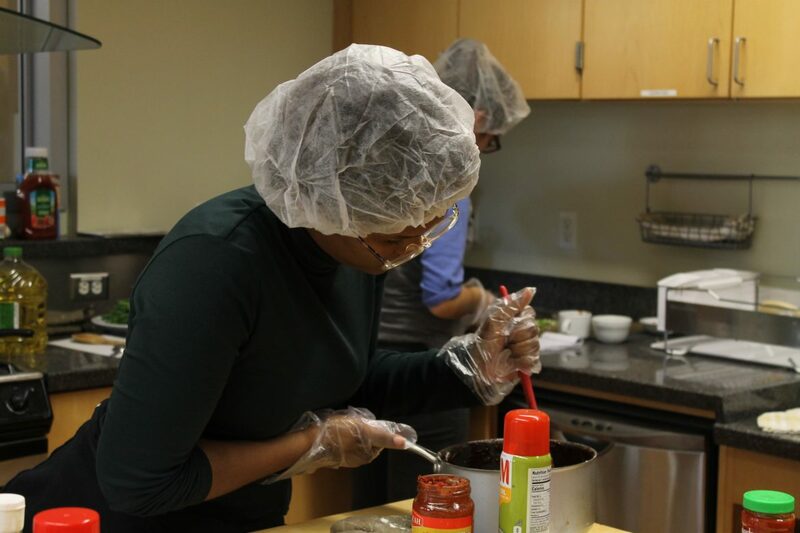 Team “Picante” which consisted of Joselin Berdugo, Jacqueline De LaTorr, and Diamond Cain wowed the judges with their Mexican Hot Chocolate Brownies and won the dessert category. 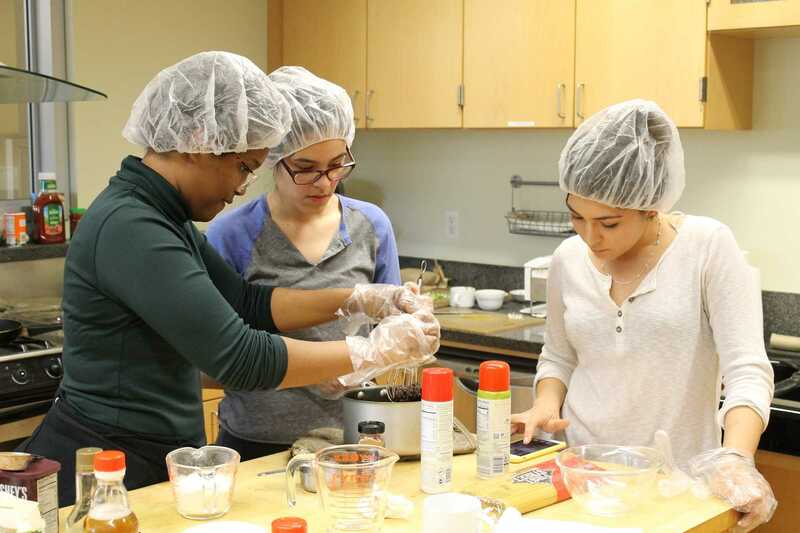 Joselin Berdugo, Jacqueline De laTorre and Diamond Cain of Team Picante consult in the kitchen during the Iron Matador competition. Diamond Cain from Team Picante watches over a pan while stirring ingredients for their Mexican hot chocolate brownies to be brought before the judges during the Iron Matador. 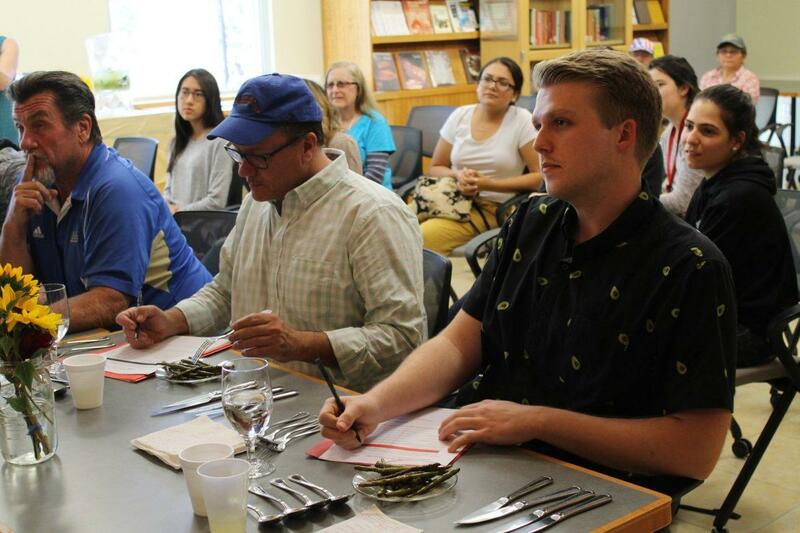 Team “Hot’n’Ready” took home not only the entrée award with their Pinaracha Salmon over wild rice with haricot verts amandine, but the overall prize as well. For winning the overall category they earned themselves a seasonal pass to Underwood Farms where they can pick their own produce. 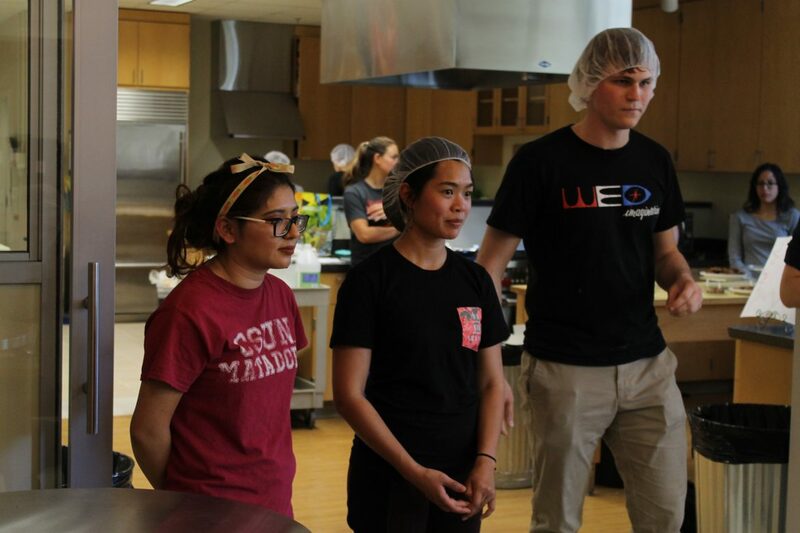 Lani Rausa, Melissa Joaquin and John Poglodzinski of Team Hot'n'Ready discuss their menu choices in the front of the judges at the Iron Matador event.